Patriot Boot Camp - 2018 and beyond! Patriot Boot Camp is excited to be entering its sixth year as the premier organization helping veterans and military spouses scale and grow their technology startups. From a simple conversation between Taylor McLemore and Techstars founder David Cohen, PBC has grown to support over 700 companies in 9 cities around the United States. This growth has fostered a community of incredible people building extraordinary companies. 2018 is already shaping up to be PBC’s biggest year yet. With the upcoming three-day program in San Antonio and the new VetHacks hackathon in Washington DC this spring, along with another three-day program scheduled for the fall, we are working towards building our programming in new and exciting ways. Through our growing partnerships and alumni, we are excited for what is in store for the remainder of the year and are already looking to 2019. We also are looking at new ways we can add value for PBC alums once they complete the three-day program. This is key because we recognize the real work begins once our attendees complete a PBC program. We believe that we need to be increasingly attentive to those that have gone through the program even as we are recruiting more companies to join this incredibly valuable community. As our growth trajectory increases, we are excited to be adding broader experience to the PBC team. We are thrilled to announce that retired Vice Admiral John Bird is joining the PBC Board of Directors. Mr. Bird has had a distinguished military career that has included leading the US Navy’s 7th Fleet as well as serving as Director of the Navy Staff. His experience and leadership will be a huge asset to PBC and its community and we look forward to working with him. At the same time our CEO Charlotte Creech, will be joining PBC’s Global Partner, USAA in a full-time technology innovation role. Charlotte’s new position will allow a deeper relationship to continue to grow between PBC and USAA. This is a great next step as we look to expand our programming, experiment with new events, and look at ways we can be more valuable to our overall community. Charlotte’s tireless support of our military spouses and veterans has led to the growth of PBC and allowed PBC to help those we serve to take their businesses to the next level. Her guidance, leadership, and sacrifice on behalf of this community over her three plus years at PBC are unmatched and will be missed. Whether it is her steadfast dedication at the three-day events or her ability to connect people and businesses that create opportunity, Charlotte’s impact will be felt for a very long time. Charlotte’s new position at USAA means that I will be stepping up in an interim basis to take over leadership of PBC. I look forward to working with our dedicated board of directors to drive our mission forward and continue our impact within the PBC community and beyond. When I was first introduced to PBC I was still struggling to figure out my own entrepreneurial journey. Taylor McLemore, Dave Drach, and especially Charlotte Creech, were key in helping to guide my business idea and to push my company through important milestones. And even though my business was just another statistic in failing, the journey has been an incredible one and has been a catalyst for me in helping others. Now I find myself helping to lead an organization I have such a deep connection to and which has helped me personally in such a profound way. As we look to the future, all of us here at PBC will be working hard to ensure we continue to improve and grow the organization. I am extremely excited for the future and look forward to ways we can add value, foster innovation, and show the world that the veteran and military spouse entrepreneurs are the best business leaders on the planet. Tell us about yourself and what made you decide to join the U.S. Armed Forces? My name is Naji Hakeem Kelley and I was born and raised in Cleveland, OH. I grew up as an only child playing with toy soldiers and G.I. Joe action figures as a kid. My pops and I would watch military movies and I would always love seeing soldiers in combat, but I never thought I would join the military. It wasn’t until I was working at a corporate REIT company’s IT department that I began looking into the military as a way out to better myself and my situation. My pops served on the USS Nimitz from 1976 to 1979 so I’ve lived with a visual example of the benefits the military can offer someone who leverages that experience. After comparing my options of active duty vs. the reserves, I decided the reserves was the best option for me because I wanted to apply what I learned from the military to my business sooner than later. For me, joining the Navy reflected my personality as an entrepreneur aspiring to operate my business on a global scale. I’ve always been a supportive person and someone who others have looked to for business tips, life advice, and personal support. The U.S. Navy is the same way. It’s integrated into everything the military does and supports every other branch by helping them to accomplish their missions. Whether it’s transporting people or materials, launching planes to help ground troops, operating on land, working in the U.S. or overseas, above or under the sea, the Navy does it all. How has your military service encouraged you to become an entrepreneur? I was an entrepreneur before I left for the military, but I’ve gained what I like to call a “global education” through my personal experiences traveling around the world and interacting with people from different cultures and walks of life. Witnessing the action diversity plays within the military has helped expose me to the power of having a vision or common cause to rally a group or team around for the betterment of the whole community or a way of life. In my opinion, that is powerful! Tell us about BLNDED Media and your goal for the platform? BLNDED is a media company building for the future we’re headed to by 2044. It reflects the diversity within tech, media and business that we see today. I noticed diverse faces of business owners weren’t shown in the media when I was conducting research before I left for the Navy in 2012. I believe media plays a very valuable role in our lives and who we become because we see so many images of what’s possible and who achieved their dreams and goals. Entrepreneurs from diverse backgrounds are missing from the popular conversation when it comes to business from my perspective. I see BLNDED Media as a platform that can help change that status quo. It’s important for us to hear and see more stories from entrepreneurs that come from different cultures around the globe, how they turned their dreams into realities, and the struggles they went through in order to build their businesses. By 2044 people of color will become the majority in the U.S. As an organization, our goal is to build a diverse company from the founders, advisors, board of directors, employees, and content we create in order to reflect the diverse world we live in. BLNDED is a platform that leverages the power of media to change the narrative of what it looks like to be an entrepreneur as well as blend the culture of entrepreneurship. What has been your favorite interview on BLNDED and why? Honestly, that’s a tough question for me to answer. What comes to the top of my mind is Vi Nguyen, Founder/CEO of Homads and Veronica Martinez, Founder/CEO of Better Beehive Project. Vi’s story showed me the perspective of a woman who attends a lot of events, usually in a male dominated environment, and having to wonder if some men are taking her as a serious entrepreneur. Veronica’s story showed me the perspective of an entrepreneur who is married, raising two kids including one with a disability, serving on a couple of boards, and having a health scare of her own all while running a new startup. Their stories helped me become more empathetic to my entrepreneurial journey. I realized that everyone has their own struggles, but women entrepreneurs have a different set of challenges thanks to society. Regardless, women entrepreneurs are not breaking and still persevering through it all. To me the strength of a woman is powerful and an asset to any organization, but their stories inspired me to want to find a woman as a co-founder for BLNDED. I’m so thankful and happy to have Alexis M. Davis, Co Founder and Chief Digital Officer, on our team. What are your thoughts on diversity in tech? What needs to change for the future of tech? Diversity in tech is struggling in the sense that there's a lot of talk happening, but not a lot of action by those who hold most of the keys of power in this country. I’m passionate about helping inspire more diverse entrepreneurs build scalable companies that hire employees and give back to the communities they have their offices in. It’s great to have existing companies hire more diverse talent, but what if more diverse founders hired diverse talent? I believe we would have more colorful organizations being built from the ground up. Changes need to happen at the top levels of this country. From political powers that be, to local leaders of influence in the business and tech scene. Companies and leaders who have the capability to drive change should help expand educational opportunities within underrepresented communities, empower those in less than ideal situations and help teach them valuable skill sets that can be applicable growing industries such as tech and business. But most importantly, these changes need to occur with the input from the people from these underrepresented communities. They need to be at the table from the beginning of these so called initiatives and have their voices heard from the jump. What does BLNDED look like in 2018? BLNDED in 2018 becomes more consistent in content creation. Our updated website release in Q1 showcases the stories of entrepreneurs of color and our publication opens its doors to more writers, storytellers and resources supporting the development of entrepreneurs of color. We plan to visually showcase a more inclusive startup ecosystem through our content, media event coverage, and work with clients who want to better understand multicultural audiences interested in business, tech, or media. #PBCATX would not have been possible without support from these sponsors. Thank you! Patriot Boot Camp is coming to Austin, Texas next week, from June 3-5, to host the 9th installment of their technology entrepreneurship education program for the military community. The program will welcome 50 military veteran and spouse entrepreneurs from 15 states, who will participate in education, mentorship and networking programs at the Texas State Capitol and the new Austin Galvanize campus over the course of three intensive days. The event will be sponsored locally by USAA. Click on the image below to download the press release announcing this exciting and impactful event! The Patriot Boot Camp Board of Directors is pleased to welcome Josh Anderson to the PBC team as the organization's Development Director, leading community development, partnerships and alumni programs. Josh is no stranger to helping early-stage organizations grow. After cutting his teeth consulting with larger organizations including Google, Vail Resorts and Accenture (where he built their Military Recruiting program), he built and managed talent & people operations functions at SendGrid, Ello, Parkifi, Ibotta and FullContact. He is also a mentor to the Galvanize community and has been an organizer of Denver Startup Week since it began. Prior to his foray into managing people operations and growth for scaling companies, Josh spent five years on active duty in the Marine Corps, leading intelligence operations for a Special Operations Capable unit during two expeditionary deployments to over a dozen countries. Josh has been an outspoken champion of Colorado's entrepreneurial and veteran communities, and is honored to be working with Patriot Boot Camp in this capacity, to develop partnerships and programs that will equip military veterans and spouses for greater success as entrepreneurs. 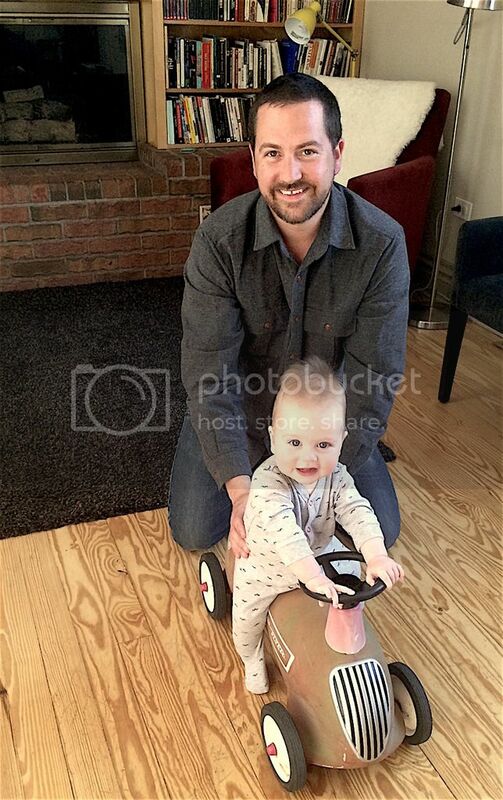 Josh lives in Denver, Colorado with his wife, son, and French Bulldog. In his free time he enjoys listening to jazz records, working on old houses, quality time with his wife, and trying to raise a well-adjusted child. As many of you know, Patriot Boot Camp's Program Director, Sean Maday, stepped down in March to embark upon a new professional pursuit. We are pleased to announce that he has joined the ranks of PBC alumni company, Stabilitas, as Chief of Data. Operations Director, Charlotte Creech, has assumed the role of Executive Director of Patriot Boot Camp. During his year with Patriot Boot Camp, Sean was instrumental in building new partnerships and executing four Patriot Boot Camp events serving 200 entrepreneurs. Although we will miss working with him on a daily basis, we couldn't be more excited that his talents will remain in the Patriot Boot Camp portfolio family. After attending Patriot Boot Camp in New York City in 2014, Stabilitas founder, Greg Adams, met his Chief Technology Officer through the PBC network. Since then, the company has raised private capital, and completed the Techstars Cloud accelerator. We look forward to tracking their continued success and have no doubt that Sean will play a critical role in helping them grow. Friday, March 25, 2016 will be my last day as an employee of Patriot Boot Camp. My wife and I are expecting our third daughter in a few months, and in order to pay for prom dresses, college tuition and weddings at some point in the future, I need to rejoin the private sector. Leading Patriot Boot Camp has been one of the most personally and professionally rewarding experiences of my life. I have been privileged to meet amazing Veterans and military spouses who are building phenomenal companies. It has truly been an honor to serve alongside Taylor McLemore, Charlotte Creech and the rest of the Patriot Boot Camp team. During my PBC tenure we worked with 200 entrepreneurs through events in 4 different cities. This success would not have been possible without generous investments of time, energy and resources by many wonderful people. Shared experience, hard work and a “Give First” spirit are a few of the qualities that make the Patriot Boot Camp family unique and special. I am humbled to be a member of this family and plan to stay involved as a volunteer and advocate. Charlotte Creech is driving PBC strategy and execution from this point forward, and I have no doubt the community will continue to grow and thrive under her steadfast leadership. Thank you for all of the Coors Light! Patriot Boot Camp, presented by Techstars is coming to Austin, Texas from June 3 to 5, 2016. This event will be sponsored locally by USAA. The application period for the Patriot Boot Camp in Austin, Texas is open now and will close on April 8, 2016. Click here to apply! Click on the image below to download the press release announcing this event! The Phoenix Patriot Boot Camp would not have been possible without support from these sponsors! Below is a sampling of the awesome chatter that the Phoenix Patriot Boot Camp event generated on Twitter. In 2015 Patriot Boot Camp worked with 155 early stage entrepreneurs from Veteran and military spouse backgrounds. These passionate founders are building awesome technology-enabled companies with ambitions of changing the world. Patriot Boot Camp alumni work hard and score wins every single day. This week two achievements from the PBC community made national headlines. Fieldvine is headed to the food truck capital of Texas. Ray and Rebecca Antonino of Fieldvine attended the 2015 Patriot Boot Camp at Goldman Sachs in New York. They have worked tirelessly to build a software platform for managing construction projects while also finding time to support the PBC events in North Carolina and Detroit. This duo has grit, vision and a keen prowess for execution. Yesterday it was announced that Fieldvine has been accepted to the Techstars accelerator program in Austin, Texas. Less than 1% of the companies that apply to join the Techstars network are accepted. Fieldvine’s success is an incredible accomplishment for a fast-growing company. Major Mom is swimming with the Sharks. Angela Cody-Rouget of Major Mom attended the 2015 Patriot Boot Camp at the University of North Carolina. Angela sat in the front row at the Chapel Hill event, greeted everyone with a smile and asked awesome questions of the presenters and mentors. Angela is a dynamic leader who has built an incredible business helping families organize their lives. Tonight Angela and Major Mom will be featured on Shark Tank seeking an investment from America’s most famous television venture capitalists! Shark Tank receives over 100,000 applications from entrepreneurs each year, and only chooses to work with the most promising companies. Angela is an outstanding entrepreneur whose relentless positive attitude is certain to be a hit with Shark Tank's investors and it's national television audience. The next Patriot Boot Camp will be held in Phoenix, Arizona in just two weeks. We are excited to welcome this 40-person cohort of great entrepreneurs to the PBC community and look forward to publicly bragging about all of their future accomplishments! There are 17 days left in 2015! As you evaluate your year end giving, please consider making a monetary donation to Patriot Boot Camp. Patriot Boot Camp is a 501(c)(3) nonprofit, and all contributions are tax deductible. We strive to keep the financial overhead of Patriot Boot Camp low so that every dollar we raise can be used to positively impact Veterans and military spouses who are building technology companies! In 2015, only 4.5% of the organization's operating budget was used to cover admin expenses. You contribution will help Patriot Boot Camp continue to spread entrepreneurship among the military Veteran and military spouse communities in 2016. Click here to make a donation to Patriot Boot Camp! Joey Arora attended the Detroit Patriot Boot Camp in October and captured some feedback about his experience in a YouTube video. Joey is an Air Force Veteran who is working on a startup called Startup Alerts. It is unclear why Joey filmed this testimonial in a small dark room. Earlier this month the Patriot Boot Camp team had the honor of welcoming Ash Maurya to our monthly webinar series. Ash is a seasoned entrepreneur who's book Running Lean is the quintessential blueprint for turning an idea into a scalable business. During this webinar Ash provided some powerful startup insights and we also heard from Patriot Boot Camp alumni KC Chhipwadia about how he is applying the Running Lean methodology to his new company. Check it out! Join us on Wednesday, November 4, 2015 at 11am Mountain time for an introduction to the Running Lean methodology with Ash Maurya. Learn how to systematically turn your idea into a repeatable and scalable business and hear how one PBC alumni is applying this methodology to his startup. This live webinar is absolutely free, open to the public and will run 60 minutes in length. Click here to add this event to your Google Calendar. Click here to join this event live on 11/4/2015 at 11am Mountain. From October 23 to October 25, 2015 we ran an excellent Patriot Boot Camp in Detroit, Michigan. Patriot Boot Camp Detroit was made possible by support from these sponsors! Professional photos of the Detroit event were taken by Steve King of a2imaging.com. Below is a sampling of the awesome feedback the event received on Twitter. Last week Patriot Boot Camp held it's first live educational webinar! The guest for this inaugural broadcast was John Hill the Network Catalyst for Techstars. John has spent more than 10 years connecting people to opportunities through relational networking and he shared some amazing LinkedIn tactics and techniques during this webinar. Check it out!